Much of my time and career have been spent supporting women and new families through pregnancy, birth and new parenting. Over the last twelve years I have spent time as a prenatal yoga teacher, a doula, and a nutritional consultant focusing on healthy pregnancies and healthy families. All of my work has been influenced by my yoga/mindfulness practices as well as my two daughters. 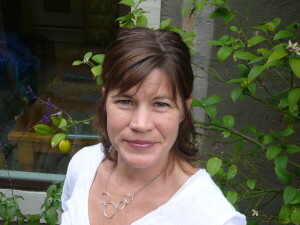 Currently I teach prenatal yoga classes at Pomegranate Yoga Studio www.pomcenter.com in San Anselmo. Creating community and empowering pregnant women to feel strong in their bodies is incredibly important to me. Each class will also devote time to practicing deep relaxation as preparation for birth and new parenthood. Our culture informs women that after the birth of a baby they should be able to “do it all”. Other cultures have recognized that while this is sometimes possible, it is not ever optimal. Women need time to recover from pregnancy and childbirth as they figure out their new role. New families need support and rest and time to connect with their new baby and possibly help older children adjust. As a postpartum doula I want new mothers (and all parents) to feel supported and nourished. Daytime support includes shopping for and preparation of nourishing organic meals that are targeted for mama’s recovery, new born care, breastfeeding support, light house cleaning, etc. I typically work 2-3 mornings a week for a couple weeks. I work with clients looking to improve their health through diet and lifestyle shifts, focusing on the childbearing time. I work one on one with people to deal with specific health conditions or to achieve specific health goals. I also teach group classes on nutritional principals to support fertility, healthy pregnancies, nourishment for breastfeeding, introducing foods to babies, and feeding toddlers. I completed the Nutritional Consultant training at Bauman College. My approach has also been informed and inspired by the work of the Weston A. Price Foundation as well as the Ancestral Health Movement. I want our children to have the benefits of wonderful prenatal nutrition so they can avoid so many of the allergies, chronic health conditions that so many of our kids face today. I also want our moms and dads to feel well nourished and healthy as they take on the role parents! My approach to nutrition is based on the intersection between research on the dietary habits of traditional cultures that enjoyed radiant health and modern science. More and more, modern science is affirming so many of the practices and diets of these traditional cultures. I do believe that there are basic principals to healthy diets for different phases of life, but all of our diets will be unique based on our own unique biochemistry and our personal dietary preferences. What works for one person, doesn’t necessarily work for another. Improving our health is a journey that is so much deeper than any specific “diet”, nutritional labels, vitamins, supplements, etc. It’s not about seeking “the perfect diet” or perfection at all. It involves how willing we are to truly nourish ourselves, how we feel about our bodies, how our choices interact with the environment and the world around us. If we are preparing for pregnancy, breastfeeding or feeding a family then it also includes how the choices we make regarding food will affect our children and their health journey too. I am the mother of two girls ages 4 and 8 so I know first hand the challenges of nourishing myself and making nourishing meals for a family.